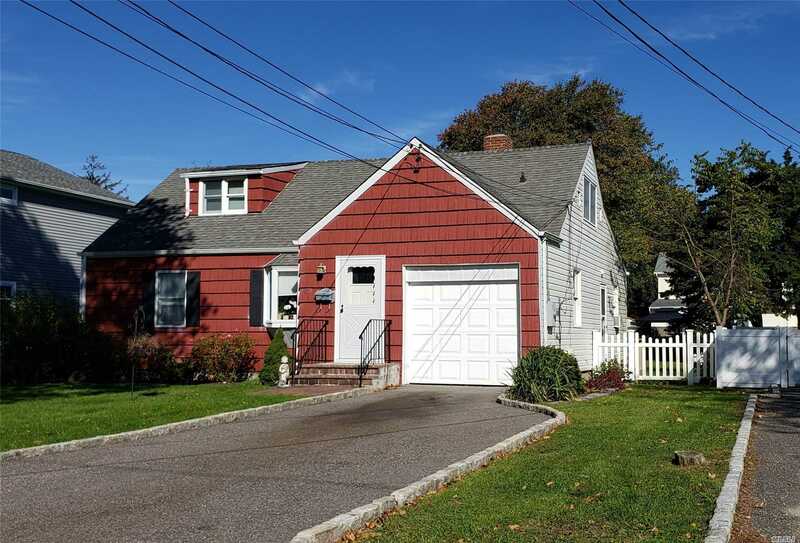 Lovely South Amityville Cape, Featuring Many Updates Including Roof, Heating, Electric, Windows And More. Gleaming Hardwood Floors & Crown Moldings Throughout. Formal Living Room, Dining Room With French Doors To Enclosed Porch, Eat-In Kitchen W/ Matching Stainless Appliances, 3 Bedrooms & 2 Full Baths. All Nestled On Landscaped 62X125 Fenced Property, In-Ground Sprinklers. Expanded Private Driveway W/ Attached Garage. 12 Month Home Warranty Available. Flood Insurance Of Less Than $500 Per Year.